Yes, they did it again! Gooseberry Patch has published another wonderful fall cookbook. 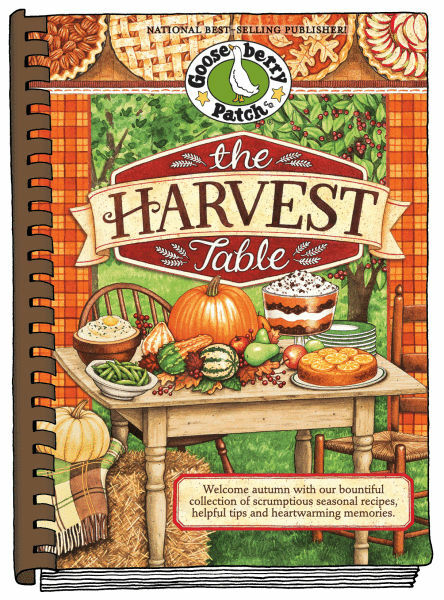 If you're a fan of Gooseberry Patch's fall cookbooks, then you'll love The Harvest Table. I've always been partial to the fall cookbook line. The first cookbooks I bought to start my Gooseberry Patch collections were Flavors of Fall and Taste of Autumn. And, at this time every year, I look forward to the newest addition to the fall cookbook collection. 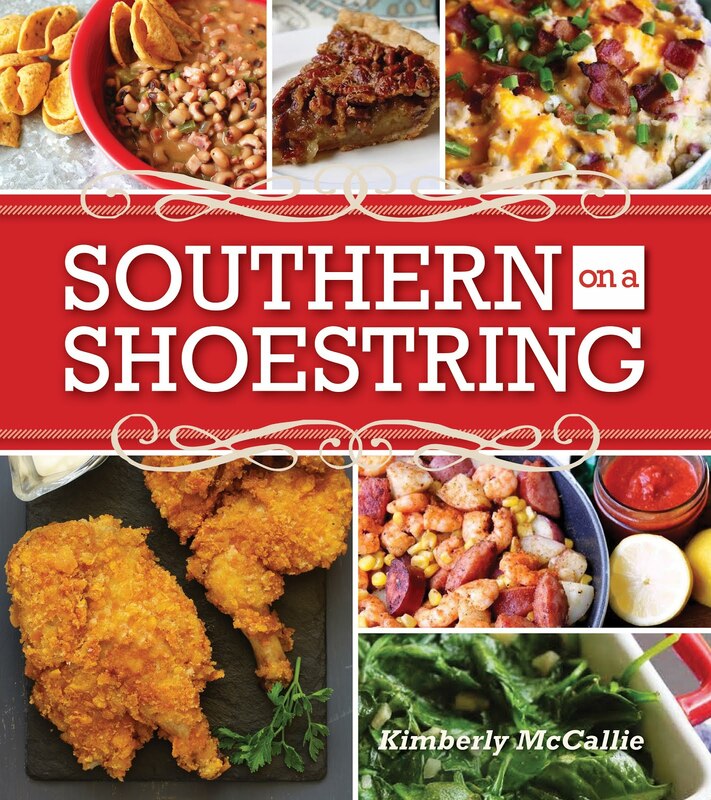 This cookbook is filled with wonderful recipes as well as warm fall memories and fun entertaining tips. You'll be ready to tailgate and hit the fall festival circuit a few months early. Scattered throughout the cookbook are Gooseberry Patch's signature artwork loaded with pumpkins, apples, and Halloween decorations. I didn't forget the recipes. The chapters are warm and inviting: Hearty Autumn Brunch, Soup Supper with Friends, Simple Harvert Supper, Thanksgiving with All the Trimmings, Festive Fall Flavors, and Save Room for Dessert. 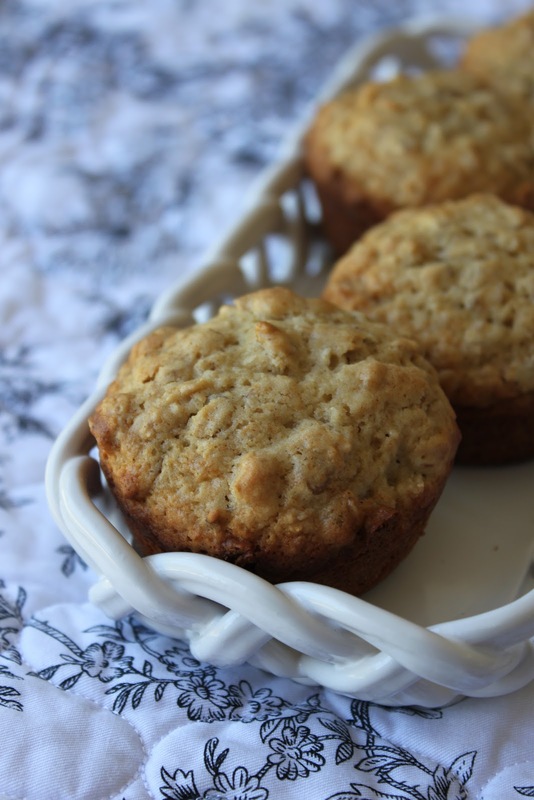 I chose to highlight recipes from Hearty Autumn Brunch and Save Room for Dessert. Mix oats, milk and brown sugar in a large bowl; let stand for 5 minutes. Add butter and egg; blend well. Stir in remaining ingredients just until moistened. Fill greased muffin cups 2/3 full. Bake at 400 degrees for 15 to 20 minutes, until a toothpick inserted in the center comes out clean. Makes one dozen. In a bowl, combine cream cheese, brown sugar and vanilla. Beat with an electric mixer on medium speed until blended. Add eggs, one at a time, beating after each addition. Stir in 3/4 cup toffee bits; pour mixture into crust. Bake at 350 degrees for 35 to 40 minutes; until center is set. 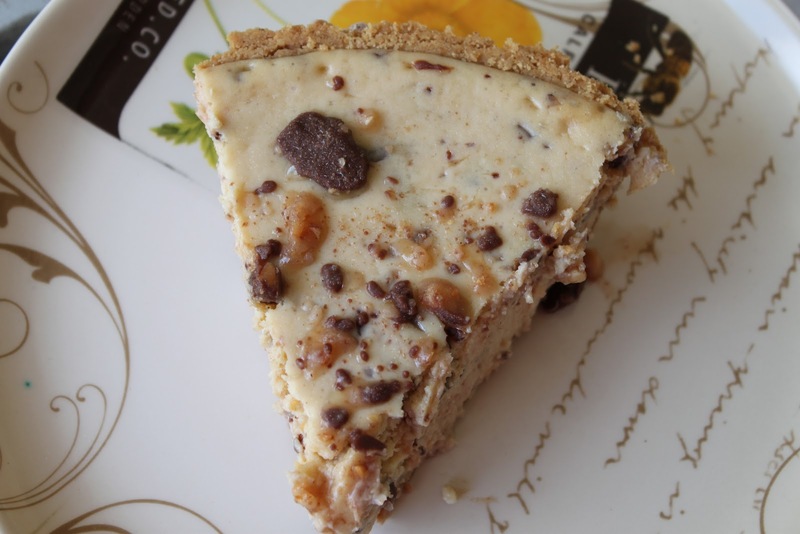 Sprinkle with remaining toffee bits while cheesecake is still warm. Cool; cover and refrigerate at least 3 hours. Makes 6 to 8 servings. Are you ready for fall? ﻿Do you think that a copy of The Harvest Table would help get you in the autumn spirit? Well, it's easy to enter the giveaway. Follow my blog and leave a comment below letting me know you're interested in the cookbook. Also, leave an e-mail address where you can be reached if you're the winner. I love everything about Autumn =) I heart Gooseberry Patch! I am a follower of your blog! Would love this beautiful cookbook! Thanks so much for this opportunity! I would love a copy of this new GBP cookbook, The Harvest Table. My email is luv2teech71(at)hotmail(dot)com. Thank you for this wonderful opportunity! This looks like another great cookbook. Thanks for the chance to win! I look forward to Fall most every year. I love to see the change of the colors of the leaves and usually greet the cooler weather with a sigh. I have Taste of Autumn, and would love to have this new cookbook! Fall is my favortie time of year to cook because of the seasonal flavors. I love all your cookbooks and this one would be awesome to own. I enjoy following your blog and I love Fall! I also love my Gooseberry Patch cookbooks and I'd love to own this one!! Hi this is my favorite time of the year and this cookbook is just what I need to get back into the kitchen after being sick for a few years. I would love and cherish this cookbook. I LOVE LOVE LOVE all of the gooseberry patch cookbooks I have, and the autumn ones are at the top of my favorites!! I love fall, it brings cooler air, back to school, and FOOTBALL!! Cannot wait to see this book!! Win or not, it will be added to my collection! I have a Gooseberry Patch cookbook collection and I use those books often! This book looks really good and I'm going to try these two recipes this weekend. My email address is heidiark@yahoo.com. Fall is one of my favorite seasons! all the goodies to cook, and its time to return to warm, hearty comfort foods after the summer months. I'd love a copy of Taste of Autumn. Would love to win this cookbook. Fall is my most favorite time of the year. I start decorating the beginning of September. I own 10 of your recipe books. A couple of them are the Fall editions. I have so enjoyed cooking from these books. I would love to win this cookbook. Although I'm enjoying the warmer weather fall is my favorite time of year. It's also my favortie time to cook so this cookbook would be perfect. I'd love to win a copy to get ready for fall. Thanks for the opp. I would love to win this book...would definitely make a bad day much brighter! I would love to win this cookbook. I love Gooseberry Patch recipes, so fun and easy to make!! Pick me, Pick me!!! I have every single GP cookbook and would love to add this to my collection to make it complete! Ooooooh!!!! :D *squeals* Both recipes look so scrumptious! See, this is one of the many reasons I love your blog so much. You always are baking up something yummy! ;) Hehe. I love fall and I love Gooseberry Patch. Thanks for the chance to win this book. Fall is my favorite season! I love to bake, so after the hot summer..as the air begins to cool, it's the perfect time to start baking! I also love Gooseberry Patch and would love to add another to my collection! I would be excited to win this Fall cookbook because Fall is my favorite season! I just started following your blog. Would love to have this lovely book! This sounds like the perfect book to get ready for Fall! I would love to win! I'm a huge fan of pumpkin, so nearly anything fall themed contains my favorite flavors. I would love to win this cookbook. Thanks, Kim! I am a follower. Fall is my favorite time of the year... I was lucky enough to have a Halloween baby... I would put the book to good use. Fall is my favorite time of year! Everything seems to have a golden glow. I love that nip in the air, the smell if a bonfire, wrapping up in my favorite sweater, still able to sit on the front porch swing with a hot cup of tea or coffee and read my gooseberry cookbooks. This fall my son, Tyler will be getting married and it is so cool to find out Lindsay is a cookbook reader too! This would be a great shower present, that is if I can let it go! Love everything about Fall...this would be perfect for my Fall entertaining!! Love the Gooseberry Patch cookbooks and I would love to add this book to my collection. Thanks for the chance to win and have a great day! Not a better season....crisp mornings and evenings and warm days....even on rainy days you just want to curl up with a good book and a hot cup of tea. Would those muffins not be the scent to be in the air....looking forward to getting this book. Love your work. I love everything about the Fall-it is my favorite season, and I love my Gooseberry Patch cookbooks. I enjoy cooking and baking the most in the fall and winter! I would love to win a copy of "The Harvest Table". Thank you for sharing and the awesome opportunity! I would love to win this cookbook! I am always looking for new recipes to try out with my family and my kids are beginning to show interest in helping out with the cooking and baking! stcbrgr2@gmail.com Thanks for offering the contest! I would like to win this book! I am allways trying new recipes for my husband who is nuts about sweets and your recipes are all verry interesting and new. I love the Gooseberry editions, and have yet to get a fall book. I am very excited about having the opportunity to get to win one! Thanks so much! I adore Gooseberry Patch Cookbooks. The recipes are tried and true and the Autumn cookbooks are my favorites! Gooseberry Patch and Autumn...2 of my absolute favorite things!! :) I would love to have a copy of this cookbook! Autumn is a time where our family gets together alot and I would love to have some new seasonal recipes to make and share! It also gives me the opportunity to talk about how wonderful Gooseberry Patch is! My email is dmcovert06@gmail.com! Thanks for the opportunity!! I love Fall cooking!! I would love to win THE HARVEST TABLE!! Thank you! I would love to have the newest Gooseberry Patch cookbook. My collection wouldn't be complete without it. I've lost track of how many I have but my husband just shakes his head when I come home with another one. He even built me a new bookcase to put them in but it's full. I guess he'll have to make me another one. They are always my 'go to' cookbook when I'm looking for something new to try. All the recipes have ingredients that are common and you don't have to go to a specialty store to find. I love sitting on my deck in the early morning hours with my coffee in hand watching all the fall colors of the trees and the sunrise blending together. It's some of the best quiet times of my life to think and pray and be thankful for everything God has given me. Then it's time to wake kids up for school and my hectic day starts. I would love to win this cookbook. My email address is sharna74@ choctawtel.net. I love love love Gooseberry Patch and I love pumpkin bread in the fall! I love all of the Gooseberry Cookbooks that I have--I would love to win this new Fall cookbook--Thanks for all the great cookbooks and other things that are by Gooseberry Patch- I have been in education for over 30 years and majored in Home Economics (as it was called then) in college. Your cookbooks are A plus!! Fall and Winter are my favorite seasons. Would love to win this Cookbook to help me cook all the yummy Fall foods. I would love to win this cookbook. I recently bought 3 gooseberry patch cookbooks to put in my new kitchen! I am ready to start cooking, after a couple of months without a kitchen to cook in. I fell in love with the Gooseberry Patch Cookbooks a few years ago and I would love to win this new fall edition. Thank you for the chance! It is not even June and all I can do is get excited that FALL is coming "soon"!! Family gatherings, good smells, warm and cozy fires.....I am ready! I love Gooseberry Patch books! I have several that involve making handmade gifts - so much fun! Fall is the best time of year, Halloween, cooler weather, relaxing by the fire pit. Ahhh . . . .
Fall is my season-- long walks through crunchy leaves, football, using up everything left in the garden, and warm cinnamony smells coming from the kitchen. Your fall cookbooks get a good workout at my house. Can't wait get a peak at the newest one. My favorite season. Odors, foods, colors. I would love a free copy of this book. This is the first fall season in our new home. I am excited to share my favorite season in my new house with my family. There is nothing better than the colorful, rustling leaves, the taste of apple cider, pumpkin goodies, and the feel of the cool, crisp, autumn air. I can't think of another way I'd rather spend my season than cooking. I own two Gooseberry Patch fall cookbooks (Flavors of Fall and Taste of Autumn) and I have used them so much! I would love another to add to my collection and fuel my love for cooking for this season and sharing special memories with my family and friends. I just picked up one of your Christmas books at the library so I could start planning ahead :) I’d love to win this autumn book. Follow your blog via GFC as Terri Betz! Would love to win this unpublished GP Cookbook! Wow! jslacks@charter.net thanks and have a great day! Sugar & Spice makes everything nice. I absolutely LOVE everything from Gooseberry Patch. I would LOVE to win your Fall recipe book. You inspire me to want to try and make new flavorful foods. Thank you so much for the inspiration and wanting to share your great recipes with friends and family. I would love to win because I am a new wife and need to learn how to cook better! Gooseberry patch books have helped me. I would love to win this cookbook!! I try my recipes on family, friends and co workers. They love for me to try them -sometimes it is costly for me but I love to see the enjoyment they get out of eating them. When we get together it is exciting their anticipation of what I have made this time. Would love to win this cookbook,looks like a great one ...just found your site...its great too...would like to get be on your newsletter list....Thanks for opportunity to win! It's hot here! I'm ready for FALL!! I love Gooseberry cookbooks! And love to share new recipes with family and friends! I would love to win this cookbook. Gooseberry Patch are my favorites. Fall and Christmas are the BEST! I love love love cookbooks! Please pick me! My email address is slgunso@nntc.net! Thank you! i have tried a lot of the recipes from your website, and never could afford to buy the books! so i am very thankful that you put a lot of your recipes on the site! seems like every time i go to buy a book, one of my girls needs something that is more important than the book. i would rather they have what they need then what i want! i would love to win any of your books. Thanks for even considering me!! I love fall and especially Thanksgiving! I've got numerous Harvest Cookbooks from Gooseberry patch! I would love a copy of this book. Fall is my favorite time of the year and this looks like it will have great ideas and recipes in it. Plus the Goosberry Patch cookbooks are great! My email is dpolley1@woh.rr.com. Always up for winning a Gooseberry Patch cookbook thanks for the giveaway. I would love it! I miss the catalog you used to send out. I always found some great things in it!! My husband eats nothing but coffee cheesecake-, spring, summer fall and winter. It's his favorite. Would love to win this cookbook as I'm sure there are wonderful recipes in it. I have a very old catalog of yours and still love browsing thru it - it gives me ideas on making things that you would never find in a store.